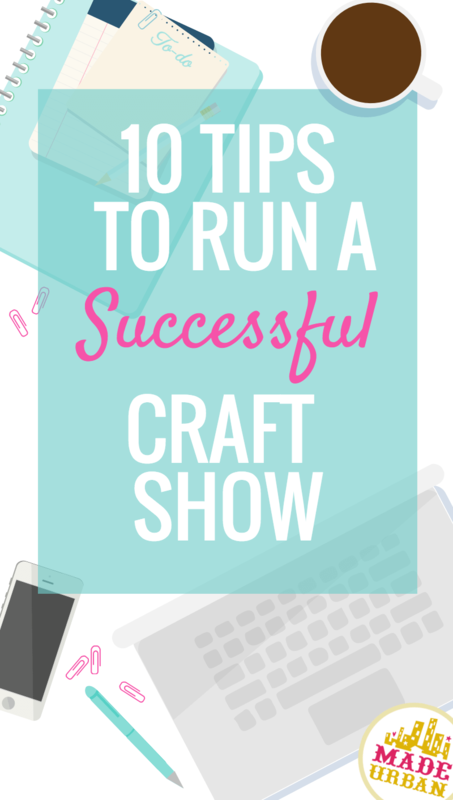 If you’re planning to host a craft show, this article is a must read. 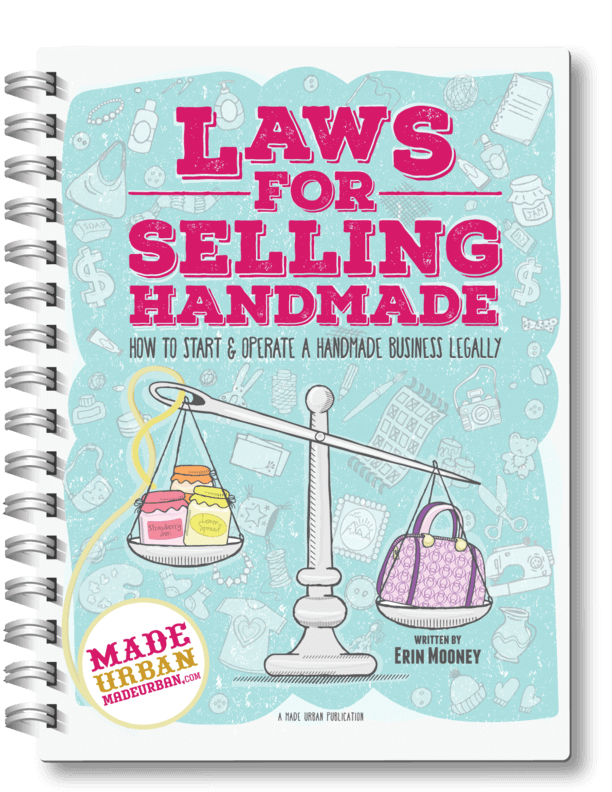 It shares do’s and don’ts from vendors and all the little things they appreciate from a craft show host. We’ve shared our Vendor Do’s and Don’ts through a few articles (Organizers Share their Vendor Do’s & Don’ts, 5 Mistakes to Avoid at a Craft Show, and Craft Show Ettiquette) as well as some suggestions on etiquette for shoppers at a market or craft show. One of our amazing readers suggested we put together a few do’s and don’ts for organizers so we asked our fans on Facebook for their advice. Just what do vendors expect out of market organizers and how can they help contribute to a great show for them? Big thank you to everyone who gave their suggestions. Here are tips for first time organizers or for those just looking for some vendor insight. CRAFT SHOW HOST TIP 1 – Advertise, advertise, advertise! Vendors were definitely all on the same page with this one. They want to be sure their time and money is being spent wisely by attending shows that are going to bring in a good crowd. Craft show hosts should be sure to spread marketing efforts out and not rely on one resource. Make use of different forms of advertising, vendors, social media and regular media to get the message out. We know it’s a lot of work to organize events; you’re probably sleep deprived and have some long hours ahead of you on market day/weekend. But try to get to the venue as early as possible to give vendors enough time to set up, without feeling rushed. This isn’t always possible, depending on the venue, but even having a break every 2nd or 3rd table for vendors to sneak through is helpful. Not only do they need to step out from behind their table once and a while to rearrange their set up and have bathroom breaks, they also want to be able to come out and chat with their customers without having to crawl under the table or be in the way. Consider the aisles and people attending the craft show as well. There are crowds that can’t be avoided (and really, who doesn’t want shoppers banging down the door?) but people want to be able to browse and chat with vendors without feeling like they’re in the way. Chances are you’re not going to get through an event without some type of hiccup. Whether that’s leading up to the event or the day of, try to keep your cool. You’re not only representing your brand as a craft show host, you’re setting the vibe for the whole show. There are categories that will fill up fast but try not to over populate them just to fill the show. This leaves vendors competing for attention from shoppers and shoppers lacking variety from vendors. If you are having several vendors selling under the same category (e.g. jewelry) try to choose designers whose style will appeal to different customers. Be sure to spread out vendors selling similar products. This gives variety to customers as they walk around the show and doesn’t leave vendors sitting right next to their competitor. Although it’s not the vendor’s job to take care of marketing, they’ll likely help spread the word. Offer them marketing material they can share online and in print. Be sure that you’ve designed a logo and material that fit the feel of your show, looks professional and is something they’ll be proud to hand out. Vendors may switch up their product selection a bit based on the other vendors that are attending so it’s a good idea to keep them in the loop. handmade home-based businesses. It sets a different tone for the show and can leave handmade vendors competing with the prices of mass produced items. There’s nothing wrong with an event that showcases both but it is an important aspect to convey to vendors who are applying. A craft show host has a hectic job, but do your best to be involved and available every step of the way. It’s a good idea to put together a vendor package beforehand that includes an application form and all the information a vendor needs to know; table space, access to electricity, set up/take down times, parking, directions, etc. This will keep vendors informed and you won’t have to answer the same questions multiple times. Answer any questions that do come in, in a timely manner and be around for questions the day of. Vendors are likely a little stressed, tired and nervous when they arrive to the venue; the last thing they want to do is run around looking for the host. Have someone present to greet the vendors as they arrive and let them know where to set up. If you need to hire an extra hand the day of, the help is certainly valuable to the vendors. My favorite organizers are the ones who are involved in all aspects of the event. Any bonus to get customers in the door is great for vendors. Whether it’s swag bags or a gift basket shoppers can enter to win, try to offer an incentive for people to visit your event or want to be the first through the door. This last one is a suggestion from me. I’ve met a lot of craft show vendors over the years, as a fellow vendor and as a craft show website owner and formed some great relationships. They’ve always felt comfortable enough to share their honest opinions and they’re well aware of craft show hosts that organize a great show but weather, events, etc. are out of their hands and when they don’t put the effort in to get people there. They’re quite understanding if weather throws off a craft show’s results but if they feel the event was poorly organized and put on by someone who thought it would be a quick and easy way to make some money, they won’t be signing up for future events are are likely to warn other vendors about the host. Times are always changing and unfortunately it’s not enough to run a radio ad or place a billboard on a busy street. You should be working with local press to get featured on News stations, in the paper, on the radio, etc. People tune ads out but you have a better chance of being noticed if you get to have a conversation about your event with a radio/TV host or newspaper writer. Get creative with your marketing, know your target market and do more than you think you need to. You’ll never be upset if too many shopper show up but it’ll be a tough day if you didn’t get enough marketing in and shoppers don’t show up. Some great ideas here for show organizers. Thanks. let vendors know what kind of photos you’d like to see for your social media campaigns. It’s such a fun way to participate if an organizer calls for process shots, lifestyle shots of your product, post-market loot shots, etc. Request vendors to move their vehicles after unloading to allow room for customer parking. Communication, communication, communication! The organizers need to make sure that the vendors get word immediately if they are selected for an event. Vendors spend timeless hours creating the products they take to sale. I had signed up for an event close to Christmas for a well known event. Problem was the folks who were in chRge of notifying the vendors didn’t do their job. It was a high school booster club, who’s parents were in charge of taking care of the details with vendors. I signed up in April, worked all summer and fall to make product. When it came close to the event, even though I had been in communication with the organizers, I never received any information as to whether I was going to have a space for my items. I wrote, called, called, called and wrote. No reply. Finally I called the administration office and asked to be in contact with someone who would let me know what was going on. When finally contacted, they told me they were sorry, but they worked a full time job! Ugh! This was for their kids benefit and they were too busy for the task. Then delegate duty to someone who could do the job. And just because someone sends an email, a follow up call should be made to insure that the participant gets the information, and not 3 days before the event. I had talked to other vendors, who also had the same trouble as me with this organizer. It left a sour taste, and now I won’t go to craft shows. PLEASE have consideration for those who you rent spaces to. It is a lot of work and if it isn’t successful, it’s not worth doing! Communicate more than once. Communicate a lot. Ask if there is any needs that they have for electricity, walls, tables, Ect. Have helpers there to unload and load boxes and tables. Be a good supporter of the people who support your show. It’s not just about selling booth spaces! If you want people to return, then help them be successful. Advertise on radio, tv, in the neighborhood, in school newsletters, everywhere you have the opportunity. It makes for a more successful event for all involved. Don’t just sell spaces! Organizers, follow up on committees and make sure they are doing what they are supposed to be doing, and if not, delegate to another person who can do it. Working a full time job isn’t a good excuse. It’s a cop out. We work more than full time to create products for others, keep up to your commitment. It’s only fair! When looking for a location, what area is best? How do I find a location to host a craft fair? Thanks for reading Angela & Ashley! Ashley – the best location will depend on your event and the type of shoppers you want to attract. Type of shoppers – will they be driving? A place that’s easy to find and has lots of free parking would be good.